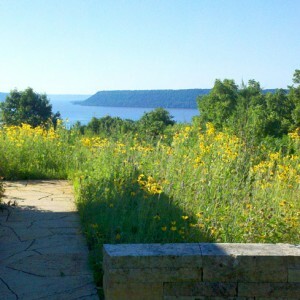 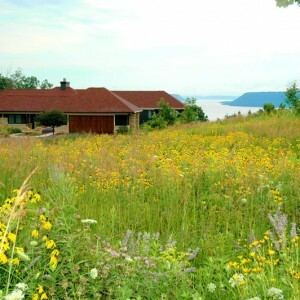 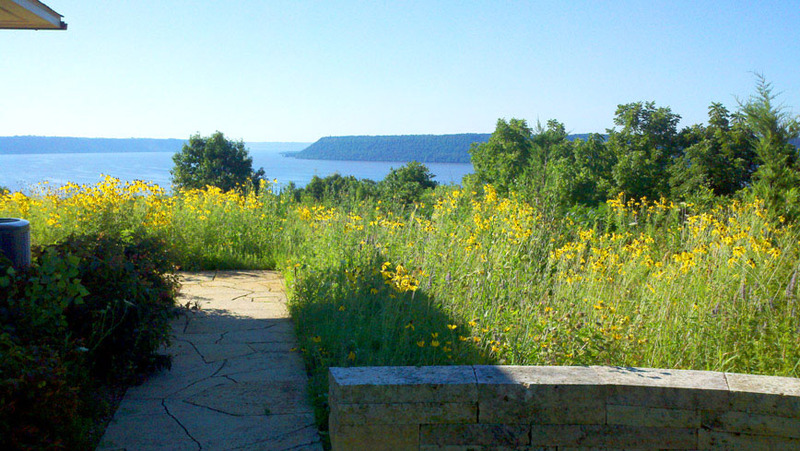 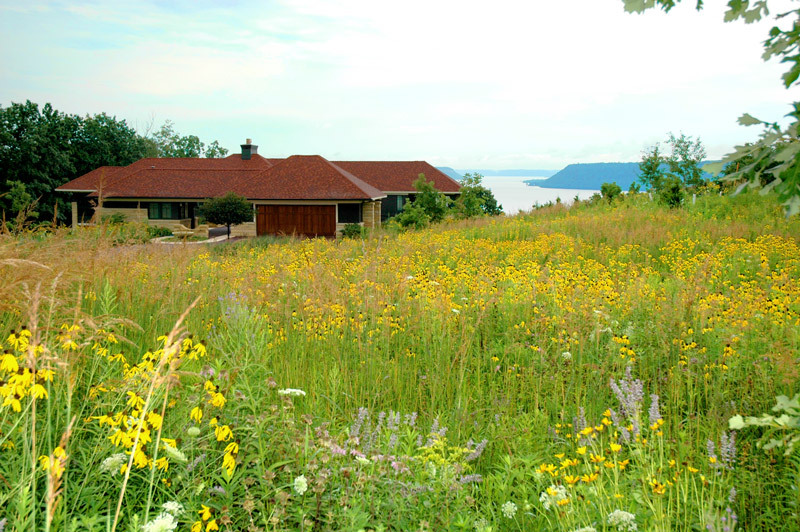 This home is located near the top of a south facing bluff with a magnificent view down the Mississippi River Valley and Lake Pepin. 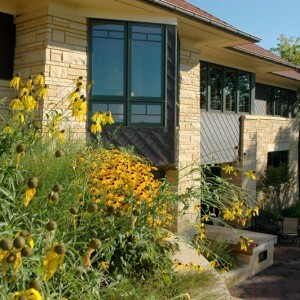 The architect and the owners placed the home on the five acre lot and I got involved quite early when the home was being roughed in. 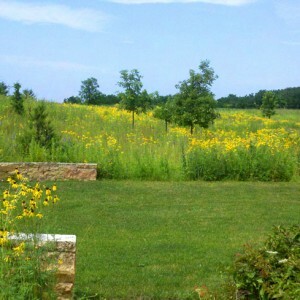 Most of the lot was old pasture land transitioning to virgin forest as the grade got steeper. 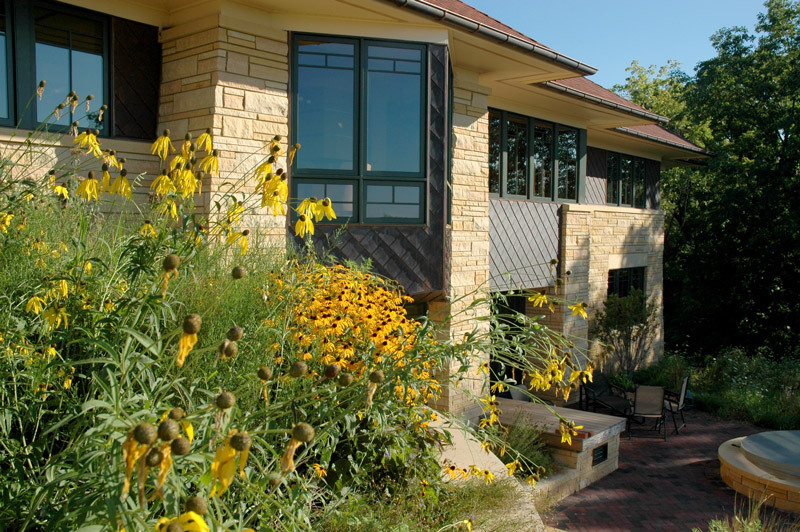 The prairie style architecture of the house fits the open, sunny site and the materials, detailing and craftsmanship of the house are very well thought out. 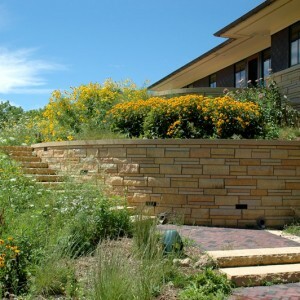 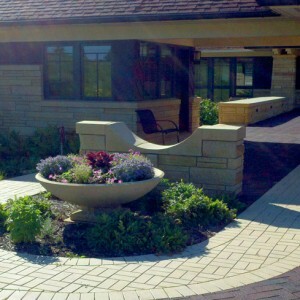 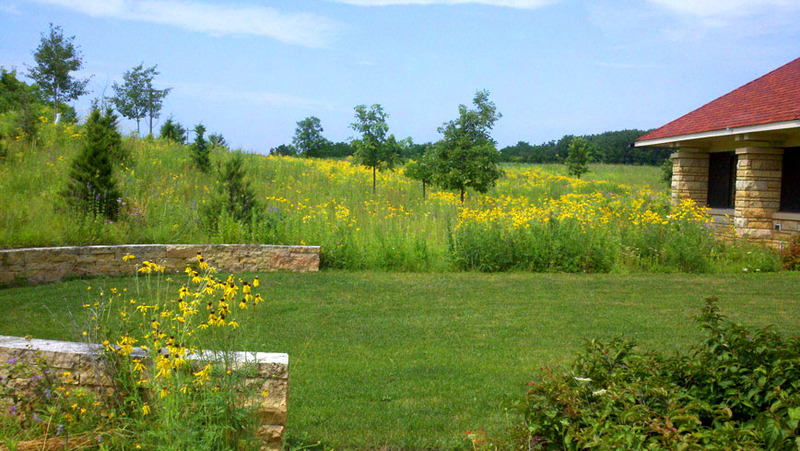 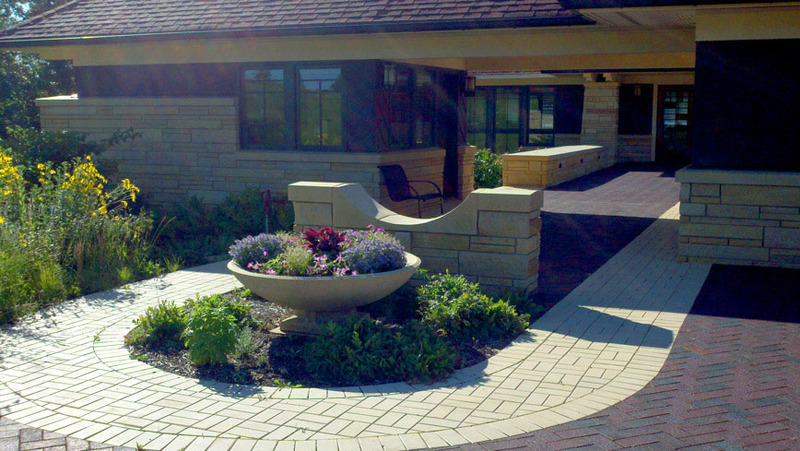 My client wanted a prairie landscape to go with the architecture of the house. 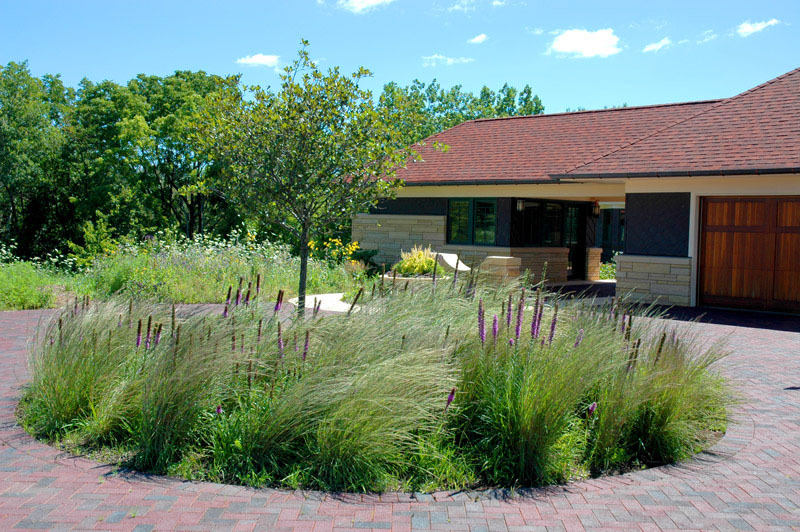 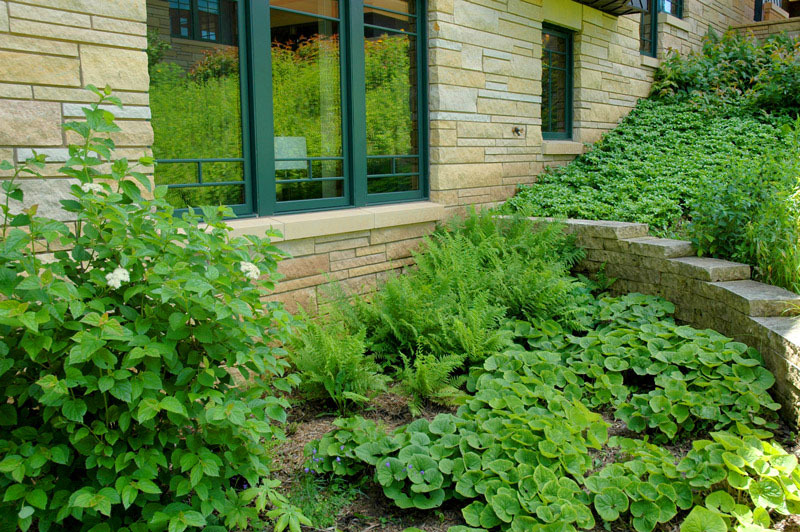 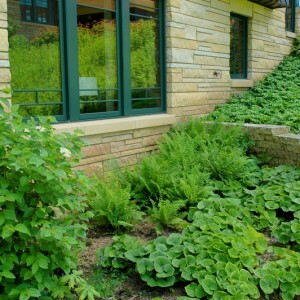 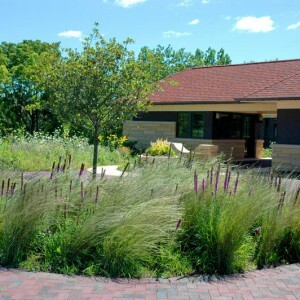 They were knowledgeable about prairie plants and understood the time and maintenance practices that it takes to establish a prairie from experience with another commercial project. 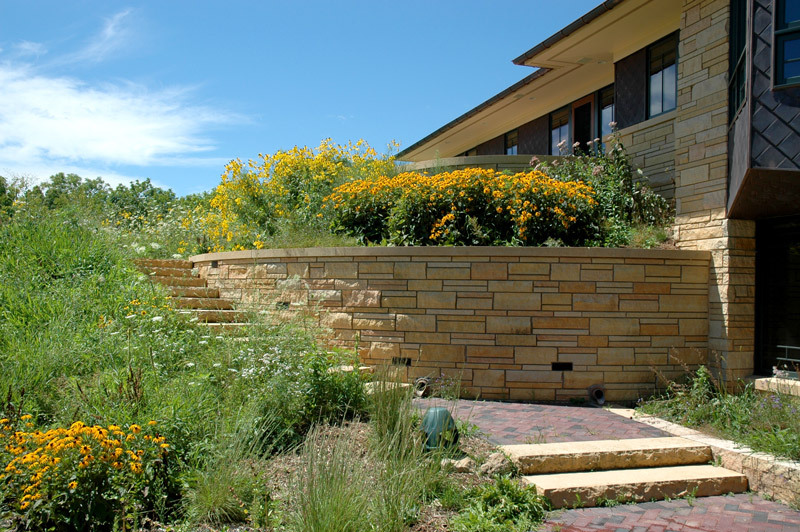 The architect had very complete plans for the project which included a conceptual layout for the front entrance and the semicircular, raised patio and retaining wall on the south side of the house.